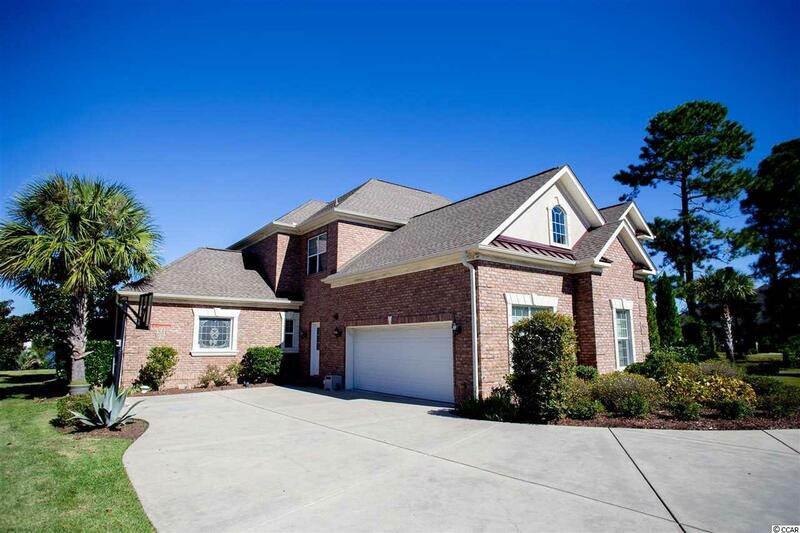 This magnificent custom built, all brick home is located on a 3/4 acre lot in Plantation Lakes at Carolina Forest and has amazing views of the lake. 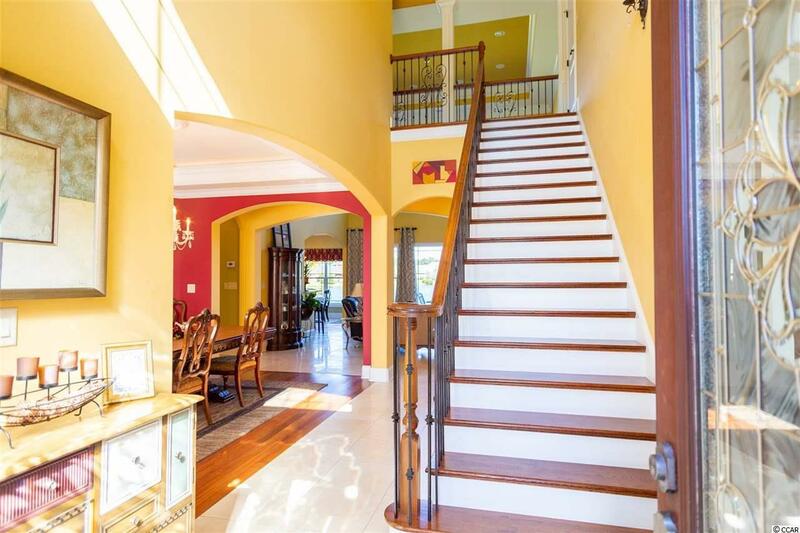 Walk into this beautiful home and lay your eyes on a grand entry and staircase. The gorgeous master suite is located on the main floor, having a separate shower and jacuzzi tub in its bath. The beautiful Mother-in-Law suite or 2nd Master Suite is also located on the main floor and has a separate shower and jacuzzi tub in bath. 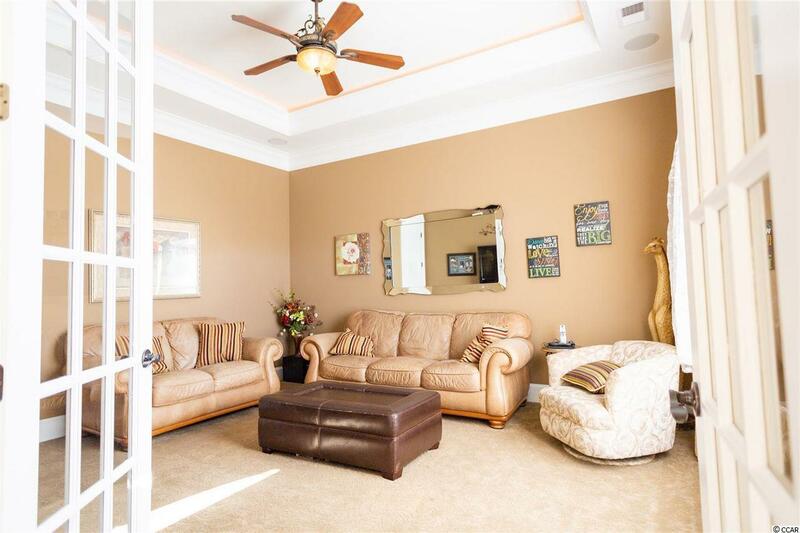 It also has a kitchenette and it's own large living room! The Gourmet kitchen is any chefs dream; with beautiful granite counters & tiled backsplashes, amazing custom cabinets, and equipped with dual ovens. Additionally, there are 3 large bedrooms and a bonus room upstairs. Enjoy get togethers and your outdoor space with family & friends. The community offers a clubhouse equipped w/ a gym, a great room w/ a fireplace, a reading room & kitchen, tennis courts, a basket ball court, horseshoe pits, 2 large pools with beautiful waterfalls! Conveniently located to all of the Grand Strands best dining & entertainment, shopping, attractions, golf courses and only a short drive to the beautiful Atlantic Coast! This home has it all; book your showing today!